PINK Ecostyler is my new BFF. 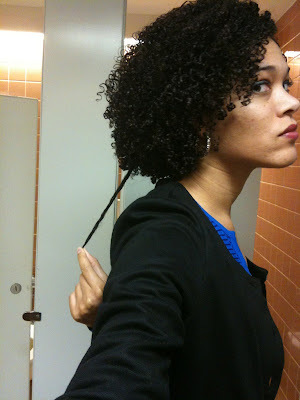 Shrinkage is my old one. I have been using the pink Eco styler for a few weeks. So far, I like it a lot for a firmer hold. I had the clear one a while back and it was like liquid plastic, but the pink has better ingredients and doesn't dry so stiff. I think I am also a bit biased because I got HUGE tub of it and haven been applying it quite liberally, mixed with oil and/or leave in. 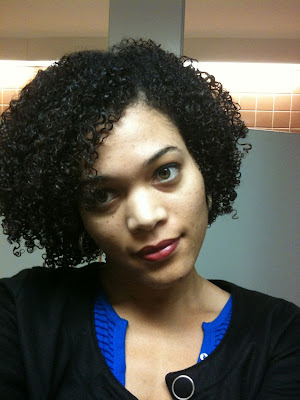 As usual, if I use gel with a shingling or finger combing technique, I get crazy shrinkage. 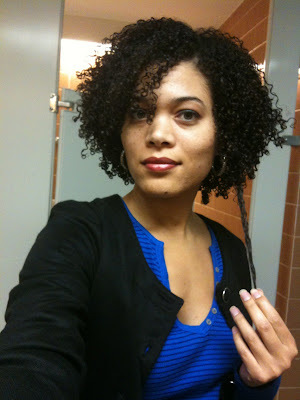 My shrinkage was so pronounced the other day it was as if I was rocking a new style entirely. Check the picts. Yes you have beautiful curls! You have a new stalker lol. I can't get over the similarities of our hair! Thanks for the blog. I've finally gotten the hang of natural hair, and have been chopping the back because of the dry ends that cause tangles that lead to split ends because I'm always wearing my hair out. It doesn't matter what products I use. Wearing my hair out too often really damages it. I shampoo it often and condition and moisturize (Giovanni products are my staples, and I used glycerin, jojoba, or coconut oil mix with a little conditioner). My hair looks great overall but I know the damage. I want to flaunt beautiful, long natural hair so please keep us updated. 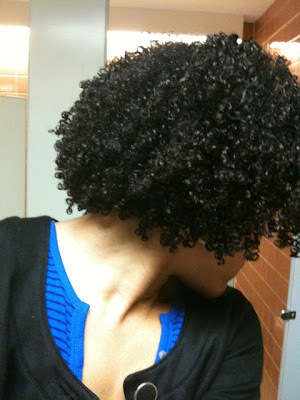 You have great tips and styles that make it easy for us that have a hard time styling and little knowledge of products. Thanks again.